I believe in ghosts, but they don’t seem to believe in me. I don’t know why. I thought ghosts were supposed to visit people who are open to them. Even if ghosts don’t exist, or perhaps especially if they don’t exist, I should have seen one by now. According to a recent article in The Richmond-Times Dispatch, a few people have “fantasy-prone personalities, meaning that such people are “imaginative and highly suggestible . . . Sometimes . 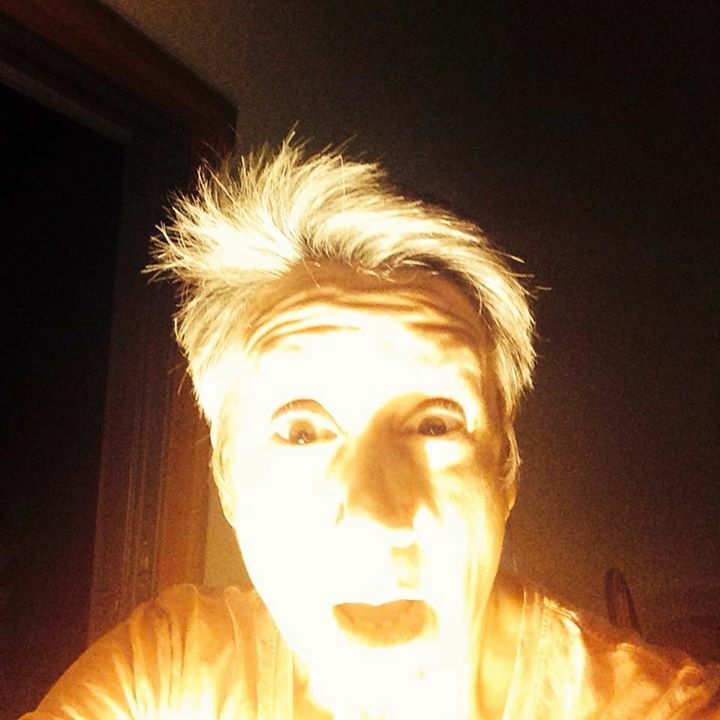 . . people report seeing or hearing paranormal things in settings where they are expected to detect something.” Does Henrico Man really see ghosts?, Richmond-Times Dispatch, October 25, 2014. Really? I’ve lived in, and visited, many places that are supposed to be haunted. I am imaginative and highly suggestible, since I’m already a believer. So why don’t I see them? Williamsburg, Virginia, where I went to college and law school, is supposed to be very haunted. No wonder, given its age and history. The Reverend Dr. W. A. R. Goodwin, the clergyman usually given credit for the idea of restoring Colonial Williamsburg, once told newspaper columnist Ernie Pyle “I wouldn’t give a hoot for anybody who doesn’t believe in ghosts.” So I’m in good company. If you want to read about Dr. Goodwin and his spectral friends, go here. There’s even a rather spooky picture of the Reverend himself. In all that time, I never saw a single ghost. 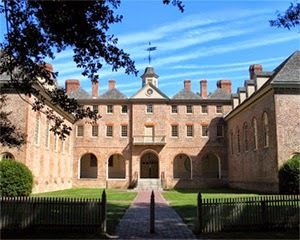 The Wren building, which is the oldest academic building in the U.S. in continuous use, is purported to be haunted by a Revolutionary War soldier and/or Christopher Wren, who supposedly either designed or “modeled” the building, whatever that means. Flanking the Wren Building are the two other original school buildings, both of which are also supposed to be haunted. The Brafferton, which is now used as an administrative building, at one time housed a school for Indian boys. The idea was to “civilize” the natives. The project was a fiasco. The Indians hated being taken away from their tribes, and the Colonists weren’t about to accept them as members of their society. Plus, many of them got sick because they were exposed to germs they weren’t able to withstand. Now the departed souls of these poor boys wander the halls, trying to escape. Can you blame them? Across from the Brafferton is the President’s House. When I was an undergraduate (back before indoor plumbing), the College President was a wonderful man named Thomas Graves. Once during a reception, I got a chance to talk to him. Naturally I asked him about ghosts in the President’s House. He kindly told me stories about his experiences with his home’s previous residents, some of whom checked out but never left. I was delighted. Two summers ago, on a very hot July day, Audrey and I visited Berkeley Plantation. I had read all sorts of stories about the ghosts there. Ghosts who are said to haunt the house include William Harrison IV (Benjamin V’s father) and two daughters who were killed in 1744 by a freak lightning strike while they tried to close a window. The infant Benjamin, who was in one of his sister’s arms at the time, survived, but his sister’s ghost can nonetheless be seen carrying a baby when she appears. We took the tour, and as the group left each room, I would hang back and look around, hoping to see or hear something strange. Nothing. I guess ghosts don’t like heat or humidity either. I’ve been on ghost tours, including one in Ellicott City, Maryland, which is supposed to have a plethora of ghosts. The tour started after dark on a creepy November night. We heard lots of stories, but nope, nothing there either. When I travel for work and get to stay at historic hotels, I research them online first to see if there are any ghosts associated with the hotel. Then, while I’m there, I strike up a conversation with one of the housekeeping staff and ask them if they have ever experienced any strange occurrences. I usually get some terrific stories. The Hotel Monaco in Washington D.C. 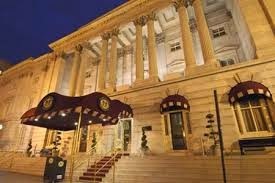 Recently I stayed at the Hotel Monaco in Washington D.C. The hotel is located in an old building that used to be the U.S. Post office. I happened to see a maid outside my room and asked her about ghosts. She said she had never experienced anything spooky, but she said several other staff had. Then she pointed to the room next to us. (416 or 418). She said a famous celebrity (she didn’t say whom) stayed in the room and got up at 4 in the morning, left the hotel and said he would never come back. One afternoon a construction worker was startled by the sight of a beautiful woman standing in the courtyard’s entrance-an area off limits to the public. He was perplexed by her attire – she was dressed head to toe in clothing of the Civil War era. She stared longingly out towards the street, as if she were waiting for something or someone to arrive, and then disappeared into thin air. Confused by what he saw, the construction worker sought an explanation. Why was she there, and what was she waiting for? He later found out that in the Civil War era, home delivery of mail did not exist, so it was common to see women pacing the courtyard of the General Post Office eagerly awaiting the delivery of the day’s mail for news of loved ones. Paranormal experts believe the construction worker witnessed a ghost, awaiting a letter from her husband who was off at battle. Her anxious expression was likely due to her hopes that she would be receiving a love letter, rather than a letter informing her of his death in the line of duty. . . . Legend has it that Hotel Monaco’s Paris Ballroom was used as a surgical room during the Civil War. Guests and employees of the hotel have reported hearing whispering in the ballroom thought to be the murmurings of doctors in surgery, and many have claimed to see the ghosts of doctors and nurses hurriedly walking the hotel’s long corridors. 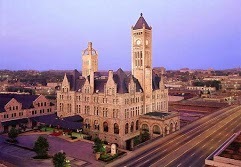 A couple of years ago, on a business trip to Nashville, I stayed at the Union Station Hotel. It used to be a train station. I really loved the ghost stories about this hotel, including this one, borrowed from the website gothic horror stories. The Union Station Hotel in Nashville is a non-smoking hotel, and the lady needed a smoke before bed. She stepped out on the old platform, saw the bellhops and valets busy at their station and lit up. At the end of the platform she notices a woman, looking anxiously about, and pays little attention. The woman appears to be wearing clothes more popular in the 1940’s than today, but that’s not so unusual on a Saturday night in Nashville. The mysterious woman turns the corner and starts down the platform at the back of the hotel, and curious, the lady follows her. Only to find that she’s disappeared. Curious, she goes to the valet and asks if he saw the woman. He replies no, makes some pleasantries about the weather, and the lady goes back onto the platform to finish her cigarette. As she approaches the woman again appears from around the corner, goes to the rail, climbs over and jumps. The lady, watching, runs to the rail and looks around, but there’s no sign of the woman. The valet, hearing her call for help comes running, and does his best to calm the woman down. The lady regains her composure, but by now needs another smoke, lights up and begins to ponder what just happened. Then out of the corner of her eye, at the end of the platform behind the station, she sees a man. He’s wearing a World War II uniform and appears to be looking for someone. As she begins to scream he becomes misty and disappears. I walked around that same platform at 11 at night, hoping to catch something happen. Nothing. Interestingly, the hotel itself often denies any such doings. The staff is apparently trained to say there are no ghosts. When I asked about ghosts at the desk, I received a non-committal non-answer. I find that curious since many hotels use their ghosts as a marketing tool. Not the Union Station Hotel. One guest tried to book the haunted room and made the mistake of telling the staff why. The room then became unavailable. You can read his story here. By contrast, Berkeley Plantation touts on its website that it is part of a ghost tour of historic plantations on the James River in Charles City County. Side note: I could not get any pictures of the plantation to load up to this blog. I thought this was because of copyright protections on the photos, but even the pictures I took myself would not load. Creepy. “Let’s say this,” he said in a 1995 Richmond Times-Dispatch Henrico PLUS edition interview. “Nothing has ever happened to me. I haven’t experienced a ghost. I would like to.” Exerpt from L.B. Taylor obituary, Richmond-Times Dispatch, March 1, 2014. Crap. I guess I’m not the only one. This entry was posted in Just for Laughs and tagged ghosts, haunted hotels, humor by Renata Manzo Scruggs. Bookmark the permalink.